If your hunting around for 1000 Lbs Office Chairs online then you might have noticed already that there isn’t really much of a selection for these huge 1000 pound chairs. 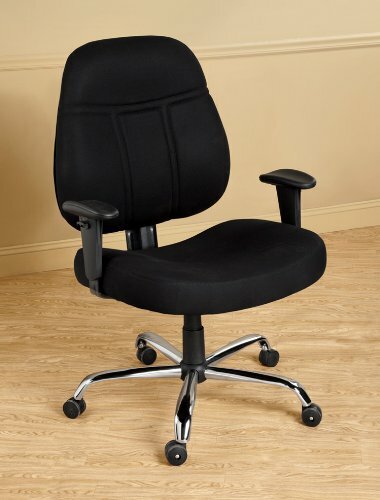 Because we are here to bring you what we think are the best office chairs to match your weight limit. 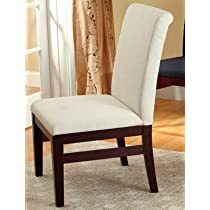 We have tried to research thoroughly for these super heavy duty chairs, but as the selection is not so great we will continue to update this page upon new arrivals. So lets get into it now. So this chair is huge and you WILL need 2 people to put this beast together. Assembly is quite simple but because of the big size and weight of this chair, 2 people are recommended. Tools required: Allen Wrench only. 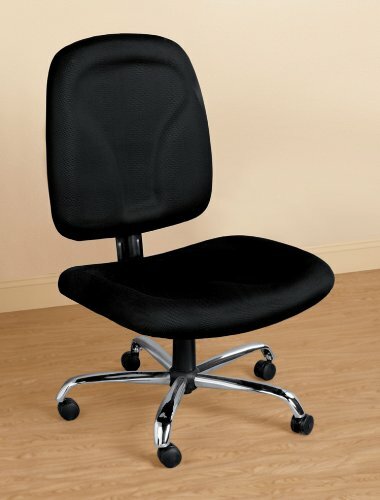 According to the user manual the height adjustment for this chair raises from 19 to 23 inches. It’s important to raise and adjust the height you require whilst standing, not sitting in the chair! 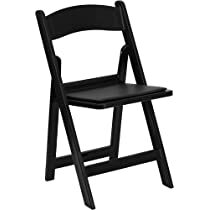 The double sized (27 x 23 inch steel reinforced) seat sits firmly on a sturdy base. The base can easily be removed by raising the seat to highest setting. Lock the wheels and pull up on the seat. Other features include: Heavy duty casters, extra thick cushioned padding, welded framing for extra support, flame retardant foam arms and polyester material. Do note that this office chair doesn’t have any tilt feature. This is probably a safety feature. As this chairs built for obese people to use, it wouldn’t be very safe in my opinion to be leaning back. Too much chance of tipping the chair and possibly even breaking the foundation due to the heavy weight. While it’s a good choice for obese people, I wouldn’t recommend this chair for people under 350 pounds. Because of the lack of tilt feature I believe you can find something better for that weight capacity. Plus I think this chair may be uncomfortable for someone around 300 lbs due to the massive seat. If you need a chair that doesn’t come with arms, then the Living XL armless version will do the trick. Same chair essentially at the armed version, but is a little bit cheaper. While the seat is massive, and having no arms to interfere with the body, this chair seems like a great choice. However I find a few things that could be improved. But keep in mind that this chair is not going to cost you your house to buy, so I can’t expect miracles. The padding could be thicker. In my opinion, for a 1000 pound weight capacity office chair, I would have expected maybe 2 more inches of padding. However this can be resolved with the addition of a pillow, or if you want to buy some additional office chair lumbar support for better back support. The casters I found could be greatly improved. They look too small in comparison to the massive chair. 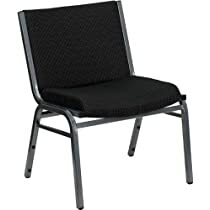 For an extra few bucks, this chair could of have the addition of some heavy duty casters to greatly improve the chair. Fortunately one can buy these heavy duty casters separate and are really easy to put on. Well that's all of them for now. But when new chairs are added to the market, this page will be updated. Below you can find various other 1000 Lb rated chairs. my Phone 797-205-1133 Thank you !! !